Thank God it's Friday today. It has been an incredibly busy week and over the next two days I want to slow down and relax a little. What are your weekend plans? Would it not be lovely to sit in this lovely cafe with a cup of coffee and a sweet treat and will away a lazy afternoon watching the world go by? This, I confess is not a photograph I have taken today. It is from last summer, shot in Lyon, France during one of our weekend travels. 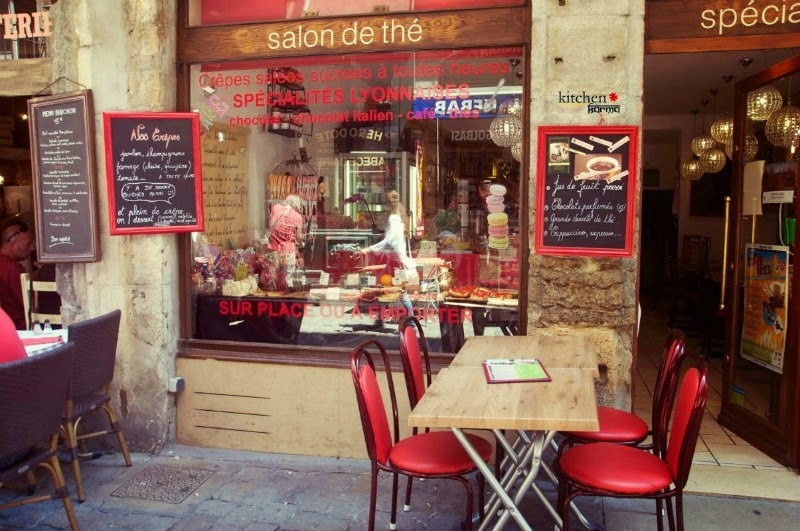 This cafe was situated in the old town of Lyon which was lovely and teeming with nice cafes and shops. Hope you enjoyed this photo.